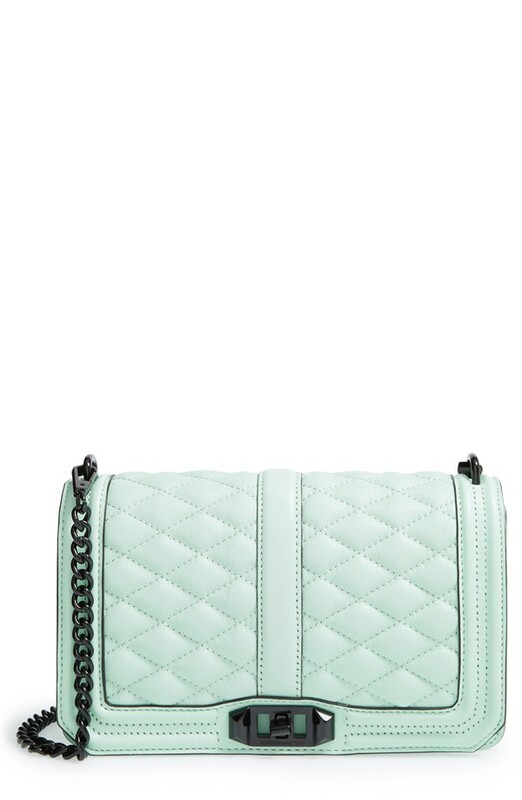 Quilted handbags have been around for quite awhile and are the perfect timeless style to include in your handbag collection. 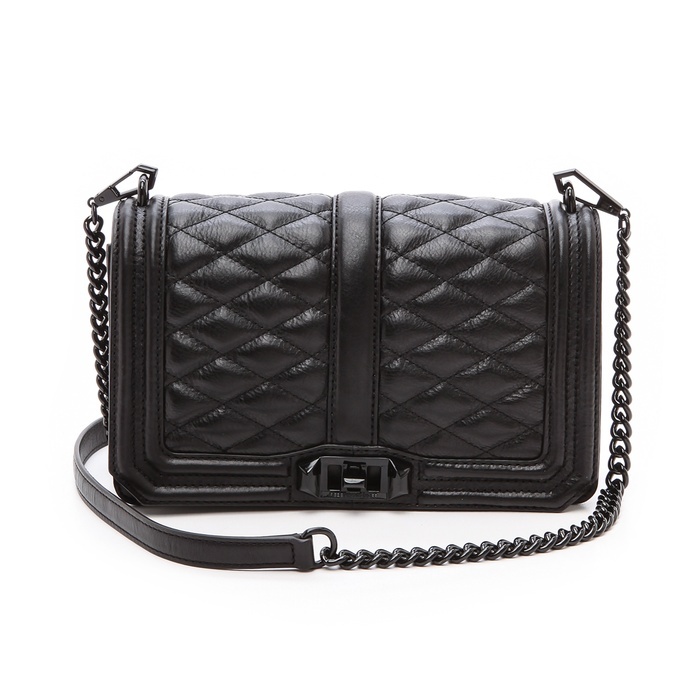 The beauty about quilted bags is that they can be worn with anything from an evening dress to a t-shirt and ripped jeans. 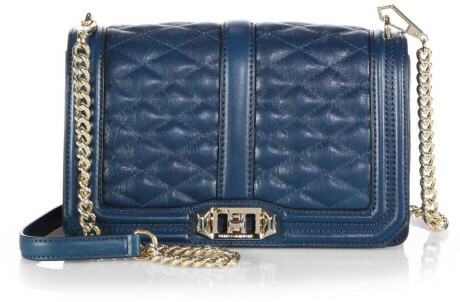 Every designer has their own take on the quilted bag with Chanel being the most recognized. Just in case you’ve been living under a rock- you can’t get your hands on a Chanel bag for less than $1500 and that’s the LOW END. 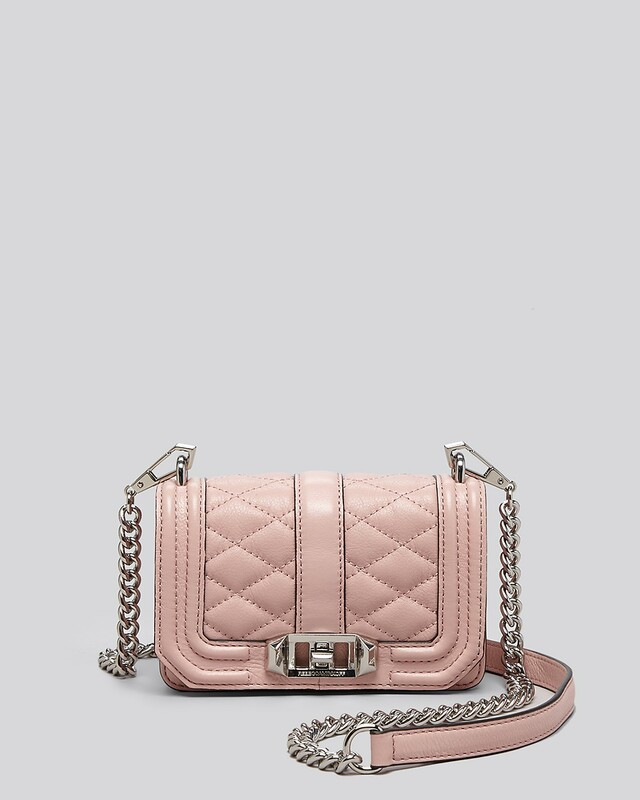 That brings me to the entire point of this post; Most people would love a Chanel bag yet most people could never afford one- and there aren’t too many great options for a well made quilted bag without going bankrupt in the process… UNTIL NOW- Rebecca Minkoff has outdone herself with the Quilted Love Bag!!! 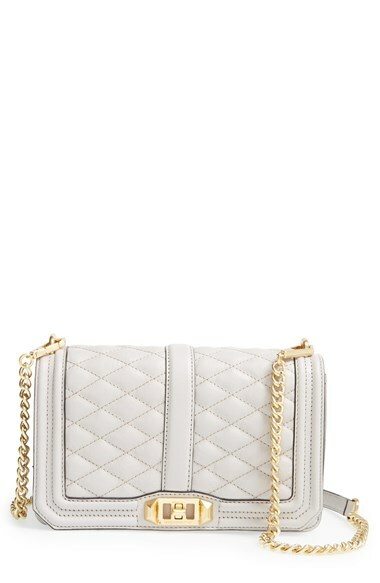 These bags are so well made and are priced at $295 for the standard size and $195 for the mini. Not exactly cheap but totally doable!!! They look and feel like a million bucks and are available in an array of colors and hardware options. I have one in the standard size. 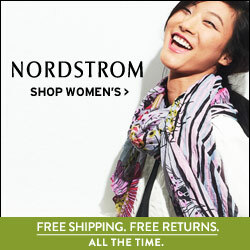 I love it and highly recommend it! 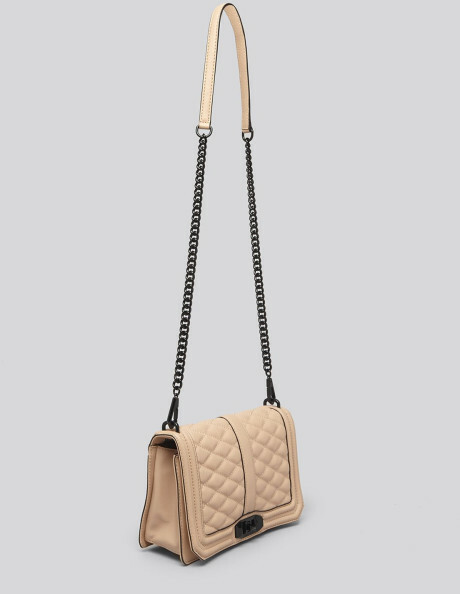 The Quilted Love bag can be worn with the chain long for cross body wear, with the chain doubled for shoulder wear or worn without the chain as a clutch! Who doesn’t love options??!!!! I also love how these bags have an outside pocket for phone or keys! 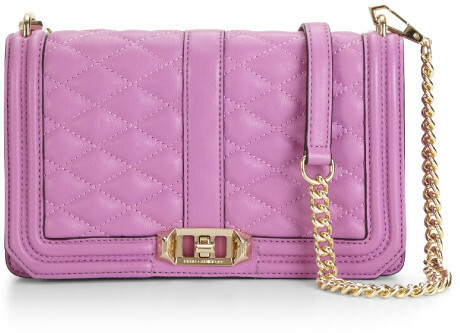 ← Must Have: Mini Crossbody Bags! How could I pick just one? !